And it continues to come!!! Enjoy your day!!! 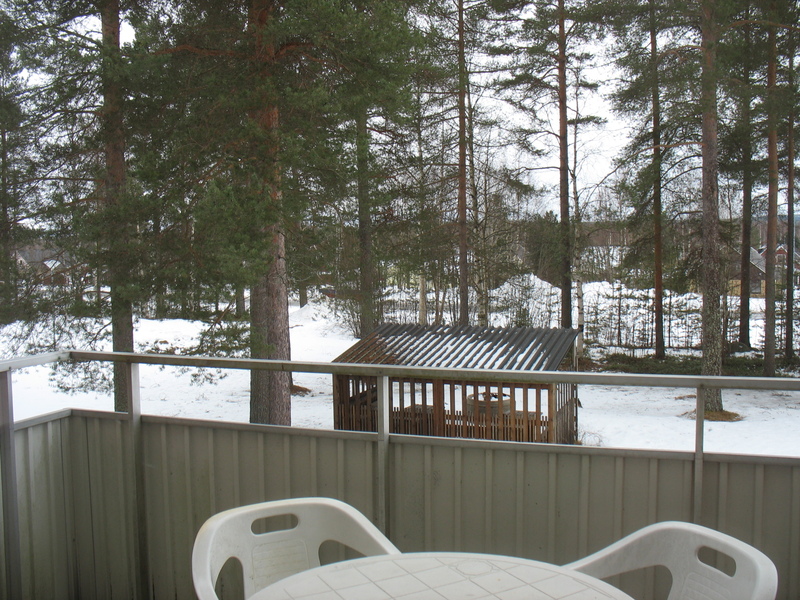 We will be returning to Luleå in June so we have started looking for apartments!! We’ve applied for 3, which is the most we can apply for at one time! Please pray!!! 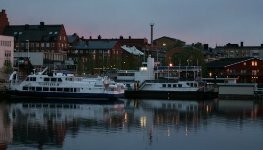 There’s a lot of competition for apartments in Luleå as the supply seems to be lower than the demand! So we really need to see God move on our behalf here! And we need to be there in June as our visas expire the next month. THANKS FOR STANDING WITH US IN THIS!!!! The kids enjoyed celebrating the American Hallowe’en holiday this year with our traditional “trick or treatin” with family and friends!! Just thought, especially for our overseas friends, you might enjoy seeing it from our eyes. Of course, it got dark quickly and with all the movement, not all of the pictures are real good. But we enjoyed it and are still enjoying all the candy!! Celebrating the Crayfish Festival (Kräftorfest))! Excitement!!! That describes Jensina and Gwen when we visited IKEA and found out we could come to their Crayfish Festival!!!! IKEA has really stepped up to the plate here and has their own crayfish festival here in the US!!! We went with our extended family (unfortunately, my brother, Gary, was away with the army) and had a great time eating crayfish, shrimp, smoked dill salmon (gravadlax), cheese, Swedish meatballs, etc., etc. and walking through IKEA!!! YUM!!! A little taste of Sweden here in the USA!!! Leaving on a jet plane – not yet!! 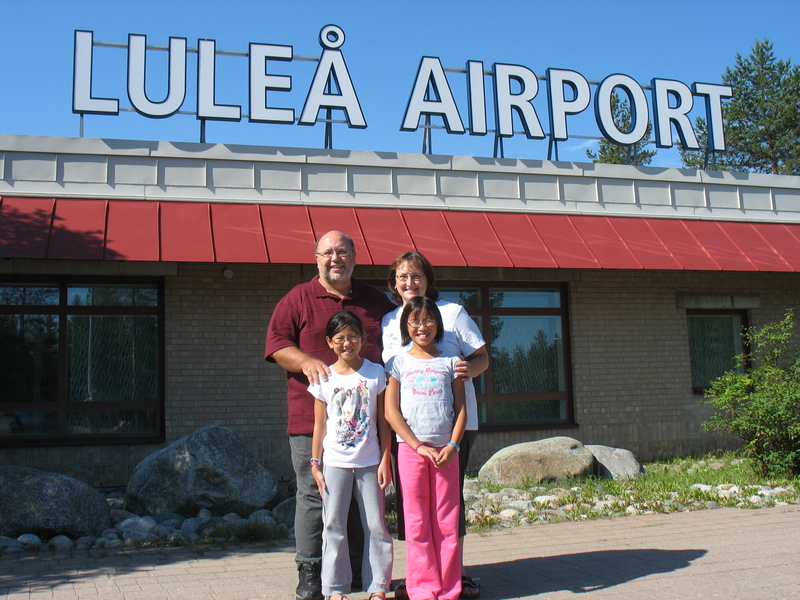 Today, we were supposed to leave to return home to Luleå, Sweden. Unfortunately, we needed to change our tickets as our financial support is not at 100% yet. Hopefully it will be soon and we’ll be able to return!! We are around 58% of the $4000 that we need now, so we know it’s just a matter of time. Please continue to pray with us for God to release the needed support! Thanks!! We’d love to be back there this year!! 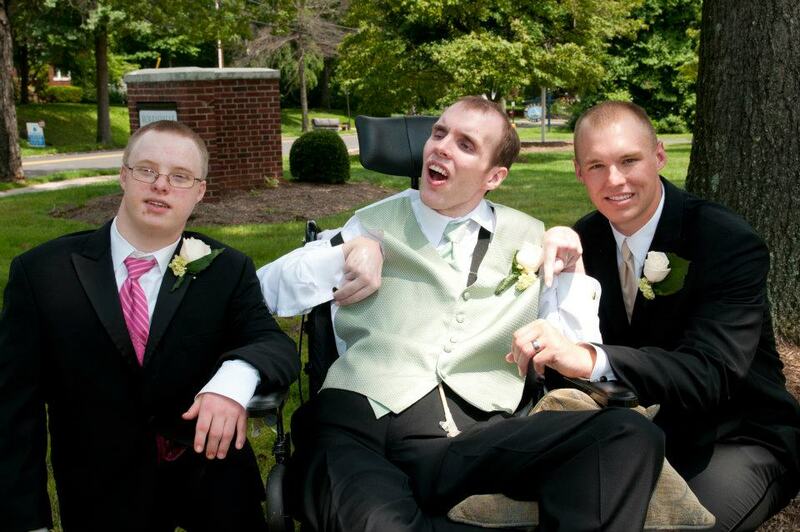 Seven years ago today our nephew, Jonathan, had a heart attack that left him severely handicapped. We never, ever saw this coming. Never dreamed that when we kissed Jonathan and Caleb good-bye for college that year, that it would be the last time he would be able to talk to us. But it was…for now. We continue to pray for God to heal your brain, Jonathan. But we’re so glad for every smile, every eye blink that tells us that you hear and understand us. One day, we will hear your voice again, whether here on earth or in heaven, we just don’t know yet. We’re so glad that you know God and we know that He is carrying you through this time of your life. Sure wish you could tell us how God is working with you in your spirit. I can’t even begin to imagine the spiritual truths God is teaching you! Love you, dear nephew! !